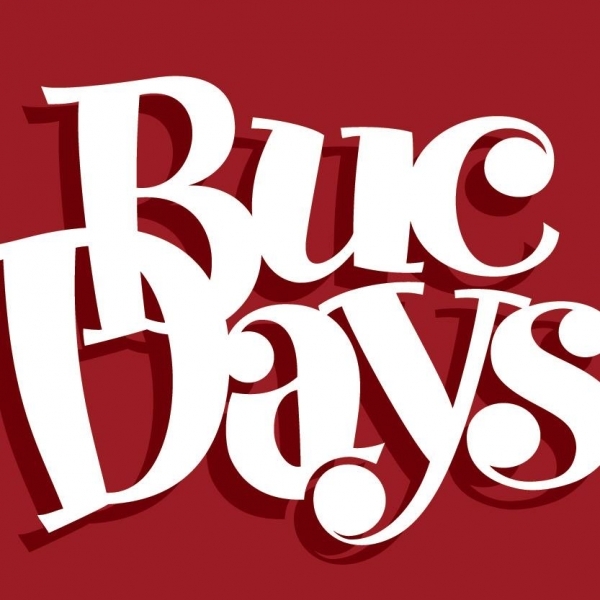 How many of us have gone to the Buccaneer Days carnival, parade or rodeo and not known why it’s called “Buc Days”? What’s the deal with all the pirate stuff? What does a rodeo and cowboys have to do with pirates and the history for Corpus Christi? Well, I’m about to tell you. Get ready for the vivid history of Corpus Christi and Buc Days! Let’s start at the beginning, before there was a Corpus Christi to even host Buc Days, someone had to discover it. In 1519, Spanish explorer Alonzo Alvarez de Pineda discovered a lavish semi-tropical bay on what is now the Gulf Coast of Texas. The day he landed in Corpus Christi? The Roman Catholic Feast Day of Corpus Christi. Between the 15th and 19th centuries, the Gulf of Mexico, Corpus Christi Bay and Padre Island were common destinations for some colorful figures we’ve come to lovingly call “pirates”. Jean Lafitte was one of these figures. While he worked up and down the Gulf Coast, he often favored Galveston, St. Joseph’s Island, Aransas Bay and South Padre Island. After he and his merry band of misfits assisted General Jackson’s troops in the War of 1812, they were given a full pardon from President James Madison and settled on the beautiful shores of Corpus Christi. Back in 1917, Corpus Christi used to host a beauty competition called Splash Days on North Beach as a way to bridge the gap between Spring and Summer. This competition was held for 21 years before it eventually grew into what we now know as Buccaneer Days. The Buccaneer Commission, a non-profit organization, put on the first Buc Days event in June 1938 and centered it around the discovery and naming of Corpus Christi Bay by Alonzo Alvarez de Pineda. It included a “landing” by Alonzo, who was the star of the first parade and historical pageant, a parade that boasted five bands and about 15 floats, a historical pageant and ball as well as a beauty contest and other “aquatic events” held over from Splash Days. It’s safe to say, Buc Days has grown quite a bit since then. In 1954, at the request of the local Civitan Club, Las Doñas de la Corte presented the first Buccaneer Days Coronation Pageant modeled after the royal court of Queen Isabella and King Ferdinand who reigned over our beloved explorer Alonzo. This pageant, which crowns a King Alonzo, Queen and Princess every year, was designed to promote the Buc Days festivities of Corpus Christi all over the state of Texas. I mean, who doesn’t love those incredible dresses?! With the exception of the years during World War II, Buccaneer days has been held for 82 years strong. And it gets bigger and better every year. The landing of Alonzo, beauty pageant and other events have been replaced by the invasion of pirate “kings and queens”, paying homage to Jean Lafitte and others like him that made Corpus Christi their home some 300 years after its discovery. You can still find King Alonzo and his court during Buc Days Coronation but you’re more likely to see the streets flooded with those dressed in their best pirate garb (Hello, Pirate Pub Crawl!). The Buccaneer Commission along with the Bucaraders and Las Doñas have been working in conjunction since the mid 1950’s to make and keep the Buc Days Illuminated Night Parade one of the best and few remaining nighttime parades in the United States. With over 120,000 people lining the streets every year, it’s easy to say they’ve done an amazing job. More recently, we’ve seen the addition of the of the Buc Days ProRodeo in 1992 and the awarding of college scholarships to area students in 1996 with the Buc Days King and Queen Leadership Program. Just in the last two years, they have introduced a new concert series that as seen a 40% spike in attendance to the rodeo. So what’s next for this Corpus Christi-only event? With over 300 volunteers, more than 50 members of the Buccaneer Commission, and 85 Bucaraders (or as I lovingly refer to as the “parade people in the white jumpsuits), Las Doñas and King’s Men, there are a lot of people invested in the success of this event for Corpus Christi. The economic impact of Buc Days was over 10 million dollars when the commission last conducted a study in 2013, and that was before the added components of the concert series, the Wade Shows Carnival, Pirate Pub Crawl and the return of the cook-off to the rodeo. I know, I had me at cook-off too. Last year’s cook-off boasted twenty local corporations competing for who could raise the most money for scholarships, with five competitors serving food to the public. Speaking of scholarships, last year, $150,000 was awarded to area students and schools with almost $62,000 going to the twenty king and queen contestants. Buc Days organizers are excited to grow with the city and try new things, as long as they continue to bring more scholarship money to students. When speaking with Johnny Philipello, President and CEO of the Buccaneer Commission, it was clear that the groups involved are thrilled with where it is going. He commented that each year they “chip away at what else [they] can do to keep raising the bar and make it a better event”. 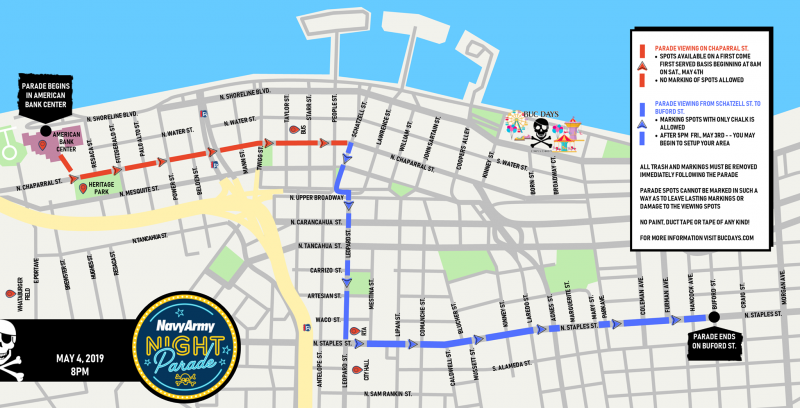 This year that means flowing with the construction of the new Harbor Bridge and altering the parade route to start at the American Bank Center, travel down Chaparral St. and end on Staples. As for what to expect in the coming years, Philipello said his team has “done a great job of getting the whole community fired up and able to enjoy at least one aspect of Buc Days” and hopes to keep building from there. There are plenty of opportunities to create a festival/fair grounds feel around this event and one way to is include some educational or academic competitions for not only area students, but ones all around the state. 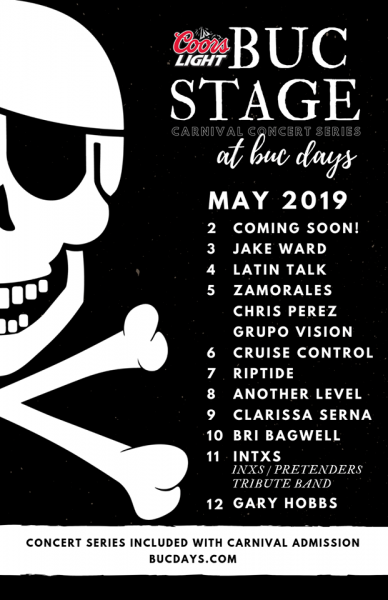 Holding on to the pirate theme seems to be working and if you’re in the mood to experience some scallywags causing some family-friendly trouble around Downtown Corpus Christi, make sure to stop by Buc Days held from Thursday, April 25th to Sunday, May 12th. With infinite possibilities and the ability to make this a token Texas event, Buc Days can’t go anywhere but up. 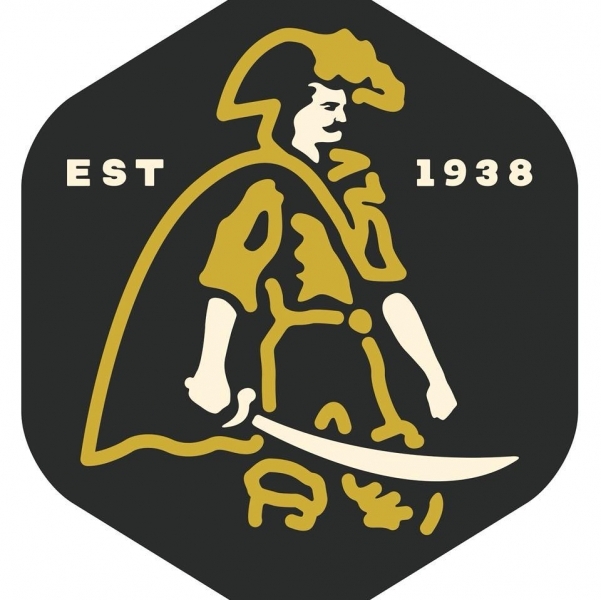 Click here for the full Buc Days Schedule!